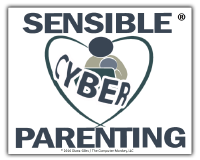 “This project was started by a group of engineers and security professionals, that were also concerned parents unable to find a good solution to protect their kids online. Some solutions worked partially, but required additional tools to be installed, were not efficient or had a high number of false negatives. Other solutions were too agressive and fully blocked Google, Youtube and other sites that broke the web experience for our kids. I have long recommended whole network filtering and now CleanBrowsing has made it even better. The game-changing part of their service is that their Family Filter enforces safe-search for Google, Youtube, Bing, DuckDuckGo and other websites. They offer two other filtering options: Adult Filter which is less restrictive but still blocks adult content and the Security Filter which blocks websites that could lead to malware and phishing. The CleanBrowsing website offers detailed, user-friendly instructions for setting up their service. For your convenience several of those pages are listed at the end of this page. Many free services are not very useful or are more of a “sample” to encourage use of the premium version. That is not the case with CleanBrowsing (or OpenDNS). While large organizations and schools systems pay a fee for their services, fully functional CleanBrowsing is completely free with no up-selling etc. for families. They are also serious about privacy. If you would like additional filtering options and reporting features or you would simply like to support CleanBrowsing for providing a wonderful service, they have a premium version for $5 per month.